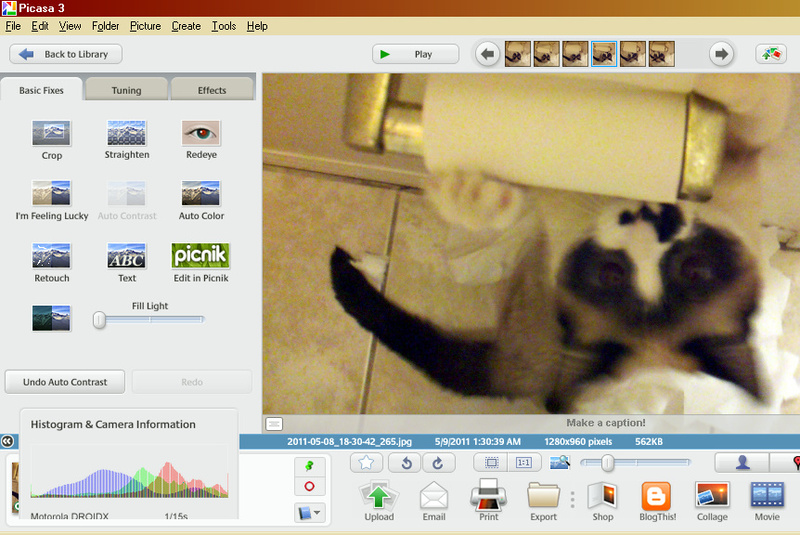 I like Picasa. I use it regularly for basic photo editing. However, even software I like comes with annoyances -- things that bug me. I call them bugs. You can see one of them below. 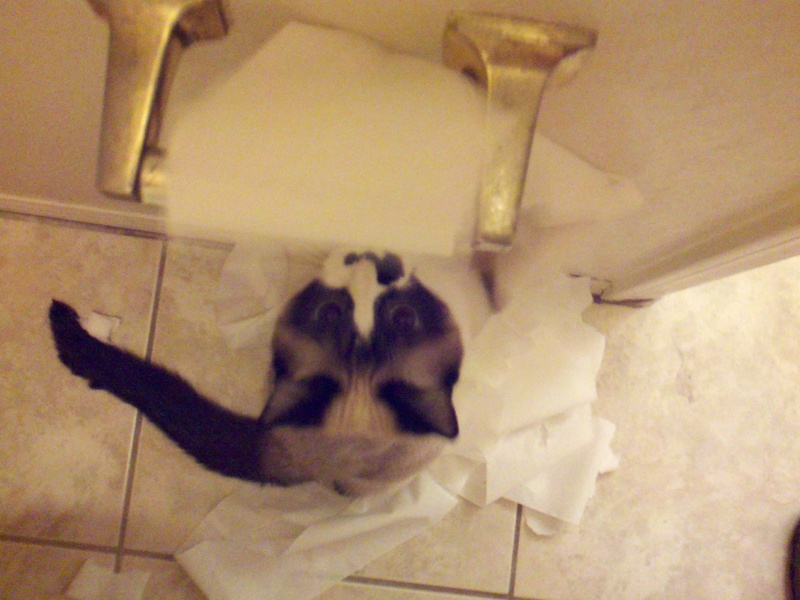 No, not the cat shredding a whole roll of toilet paper. The "Histogram & Camera Information" box covers up the thumbnails of the images I've selected -- selected to upload, email, print, blog, etc. I've found no way to make this box go away while viewing an image. This prevents me from viewing or changing the selected images. This is a problem.